1. 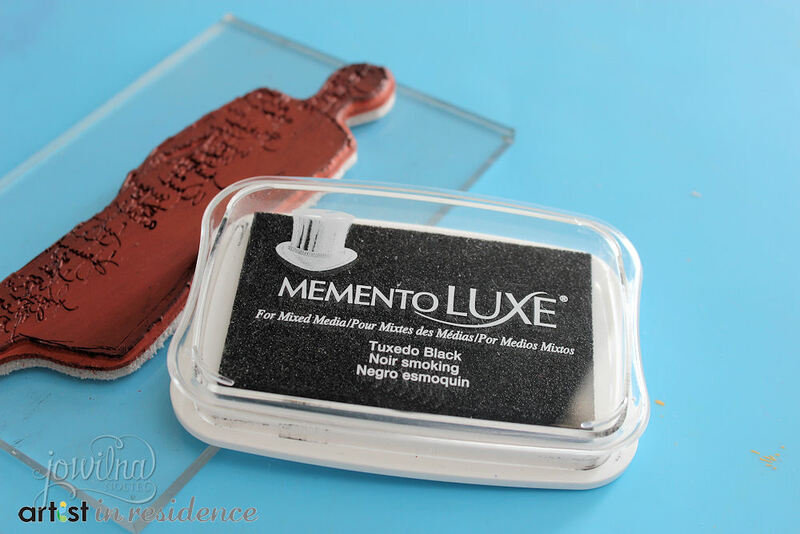 Select your image you want to use and Tuxedo Black Memento Luxe ink. 2. 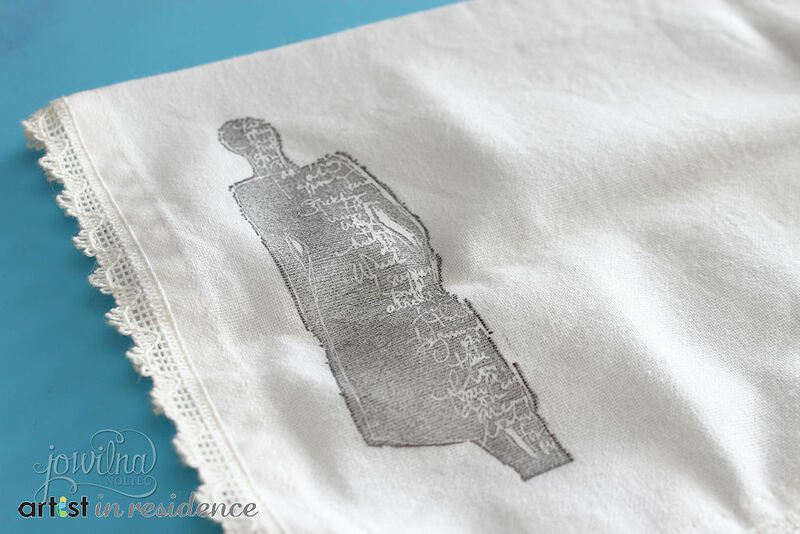 Determine the placement of your image and stamp the image onto your serviette. 3. 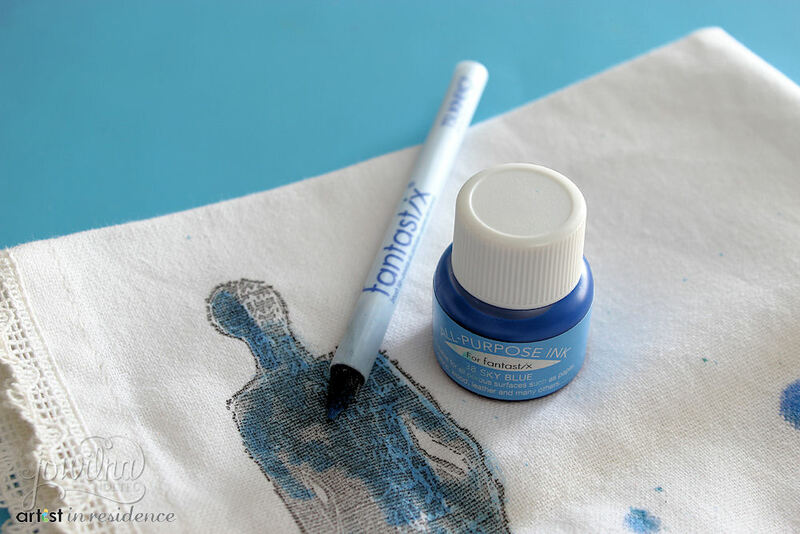 Use your fantastix and All-Purpose Ink to add colour to the stamped image. 4. 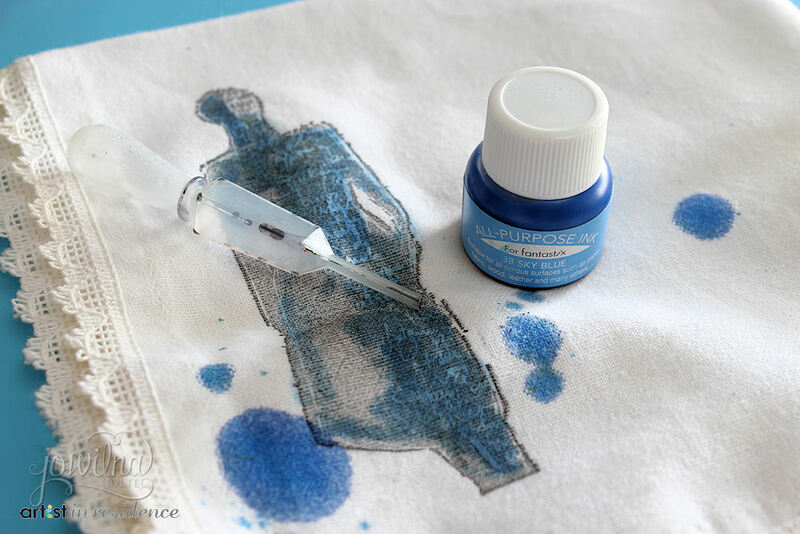 Use an ink dropper and drop All-Purpose Ink splats around the stamped image on the serviette. Stamp additional stars over the ink splats and image. 5. Heat set the ink by ironing the serviettes.